The JSE tried to stage a rebound in the afternoon session to but it came up short to close weaker on Wednesday. The resurgence on the JSE was led by a rebound in European stocks which rose on the back of gains in tech and banking stocks. The local bourse opened weaker as sentiment from Asia remained subdued due to fears of sluggish economic growth and weaker company earnings. There was a greater number of stocks which recorded gains on the blue-chip index in today’s session, however, the heavyweights faced headwinds which curtailed the index’s advance. Clicks [JSE:CLS] gained 3.16% to end the day at R163.00, while Tiger Brands [JSE:TBS] posted gains of 2.55% to close at R253.67 per share. Financials held on to their gains despite some weakness in the rand during the medium-term budget policy statement announcement. Nedbank [JSE:NED] rose to R233.25 after adding 2.7%, ABSA Group firmed by 1.76% to R142.97, and FirstRand [JSE: FSR] closed 1.7% firmer at R60.85. On the broader index, Astral Foods [JSE:ARL] jumped 8.41% to close at R197.95 mainly on the back of the release of its trading statement which indicated that the company is expecting a significant jump in earnings. Famous Brands [JSE:FBR] was buoyed by the release of its statement outlining a strategic decision for its UK-based acquisition, Gourmet Burger King which has not been performing well. The stock gained 4.77% to close at R104.50. The weakness in Naspers [JSE:NPN] limited the potential gains for the JSE Top-40 index as the stock retreated by 3.96% to close at R2 575.00. Aspen [JSE:APN] closed weaker for a third consecutive session as it lost 2.57% to close at R144.24. Sibanye Stillwater [JSE:SGL] lost 5.04% to end the day at R10.74, while Kumba Iron Ore [JSE: KIO] fell to R269.27 after dropping 3.21%. 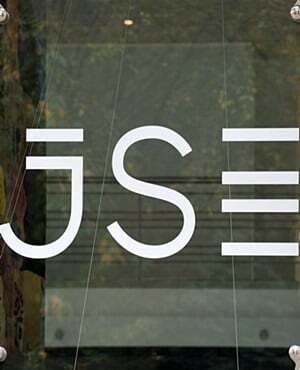 After a seesaw session the JSE All-Share index closed 0.57% weaker, while the JSE Top-40 index shed 0.75%. The Financials closed 0.77% firmer, however the Industrials and Resources indices lost 1.17% and 0.61% respectively. The rand traded firmer in the morning session to peak at a session high of R14.14 against the US dollar. However, the local currency weakened as the finance minister highlighted a widening budget deficit and revised South Africa’s growth forecast lower. At 17:00, the rand was trading 1.67% weaker at R14.48/$. Brent crude also rebounded as the equity markets recovered. After falling to a session low of $75.11/barrel, the commodity recovered to trade 0.27% firmer at $76.65/barrel just after the JSE close. At 17:00, gold had erased earlier losses to trade flat at $1 230.44/oz. Platinum was only up 0.05% to trade at $833.11/oz, while palladium had lost 1.47% to trade at $1 127.38/oz. Bitcoin was marginally firmer at $6 606.20/coin after gaining 0.59%, and Ethereum was up 1.21% to trade at $206.69/coin.